Painted wolves (African wild dogs) are South Africa's most endangered carnivore. We support their conservation with donations from sales. Here are some facts and figures. 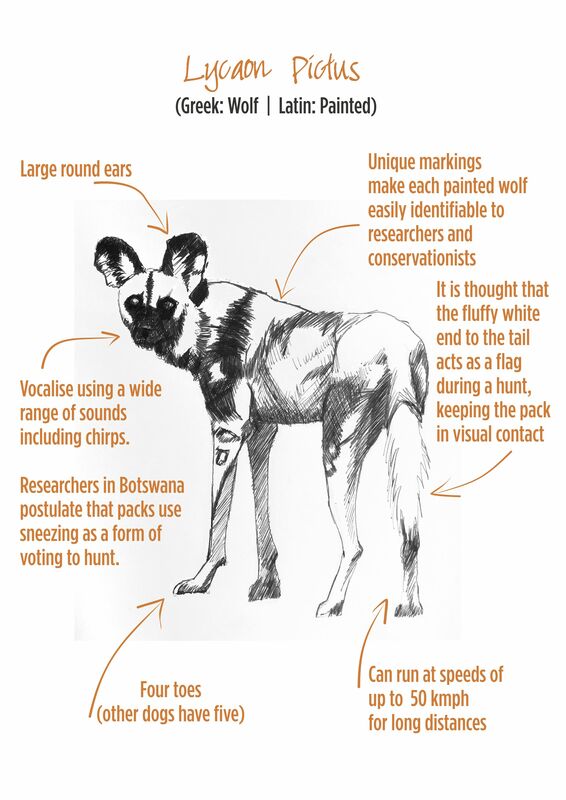 There has been controversy about the use of "African wild dogs" as a name because of the negative connotations. These amazing carnivores have spent many years being vilified as vermin and conservationists would like a more positive name. Advocates for change would prefer them to be called painted hunting dogs. Following the very popular BBC Dynasty series in 2018, the name, painted wolves, has gained traction. In English they have been known as: African wild dog (most common usage); Cape hunting dog; painted hunting dog (advocated by Greg Rasmussen); painted dog; painted wolf and tri-coloured dog. In French: loup-peint. 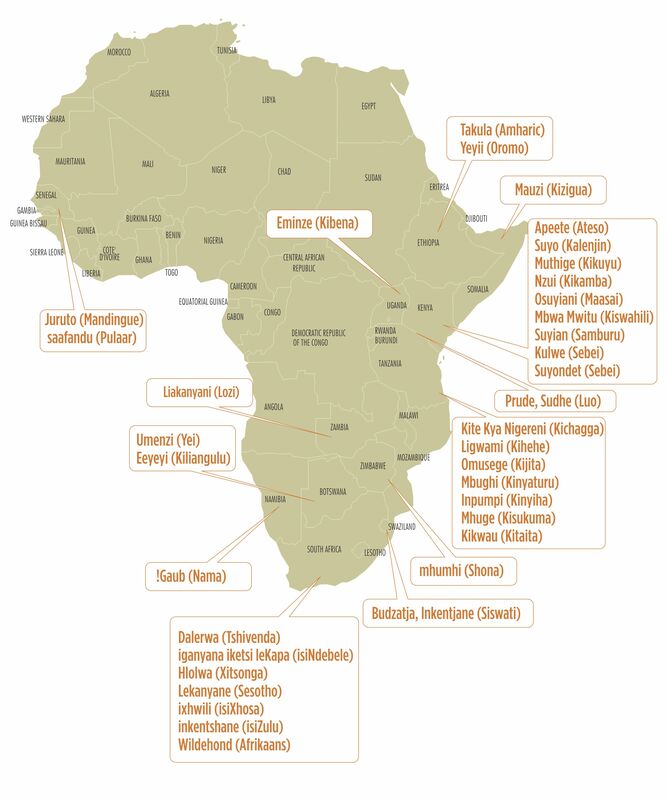 The map below illustrates the names given to painted dogs in some of the languages of Africa.